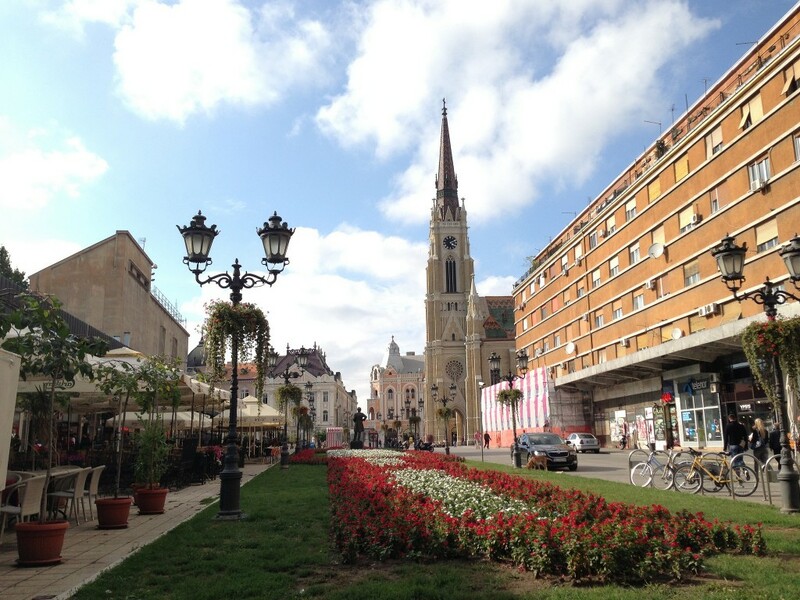 Novi Sad is the multicultural center of Serbia, and the capital of Autonomous Province of Vojvodina. We take a look at the best places for brunch in this fascinating city, from fancy restaurants, through cool fast foods, to modern, cozy cafes. 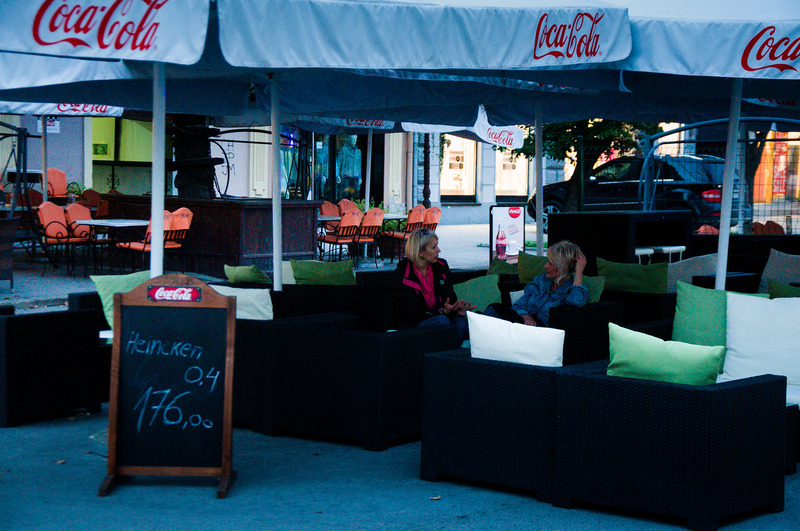 Cafe Veliki reflects the multicultural character of Novi Sad and the whole Vojvodina region. The kitchen serves Serbian specialties but is also influenced by the Hungarian, Austrian and Slovak national cuisines, as well as food traditions of other communities living in Vojvodina. The interior is elegant and classy, and has a great atmosphere, with its wooden chairs and tables and exposed brick walls adding to the old charm. For breakfast, enjoy a Swedish buffet of eggs, omelettes and plenty more. For a healthy start to the day, Wake Up Juice Bar serves a breakfast of muesli, yogurts, salad and a huge choice of vegetable and fruit drinks, smoothies and milkshakes. Located in the city center of Novi Sad, in front of the beautiful Cathedral and just a few steps away from the Liberty Square, Wake Up is a unique spot to spend an enjoyable morning with a meal rich in vitamins. The interior of the juice bar is modern, with a youthful atmosphere, while the outside seating offers an amazing observation point over the Old Town. Repeatedly recognized for its amazing cakes, coffee, consistent professionalism and stunning garden out back, Poslasticarnica Vremeplov is the best choice in Novi Sad for a sweet morning meal. The interior is very cozy, with a classy old-style decor, while the outside is full of beautiful trees and flowers and vintage decorations that create a feeling of a secret garden. Guests with a sweet tooth might have a problem leaving this spot because of that amazing choice of cakes, cookies, muffins, mousses and Serbian dessert specialties. Corso is located next to one of the most beautiful buildings in Novi Sad, the Bishops Palace, and is a place with a great ambiance and a huge selection of breakfast meals. From the French toasts and sandwiches, through omelets and other egg-based foods, all the way to the sweet treats, Corso has all the morning staples. The restaurant’s interior is modern and beautifully decorated with colorful furniture. Plava Frajla is one of the best restaurants in Novi Sad serving local, Serbian dishes. The restaurant follows the traditions of the national cuisine and aims to recreate the flavors of their grandmother’s kitchen. In the morning, guests can delve into the tastes of Serbian specialties, such as traditional bean soup, home-made sarma, or unique stuffed vine leaves from Frushka gora. The interior is very elegant, with traditional decorations and tableware. Located in the area of the Petrovaradin Fortress, Terasa, which literally means “a terrace”, offers a wonderful view over the city from its beautiful patio with colorful flowers and an adorable fountain in the middle. The restaurant is a perfect spot to have a breakfast or brunch with a stunning view across the Danube bridge and famous Clock Tower. The interior reflects the solemn atmosphere of the neighboring citadel and is arranged in an elegant style. One of the biggest bonuses of breakfasting at Kafemat Concept is definitely the sprawling garden out back, a shady spot that can accommodate 200 people. The interior is also impressive, with modern and spacious rooms; a restaurant and coffee place by day and a heady club by night. The menu has a lot of great breakfast offers, with different sandwiches, toasts, sausages, eggs and sweet meals to choose from. Tehnologs is arguably the king of Novi Sad’s craft beer and sausage scene. Meat lovers will enjoy the selection of both Balkan and more creative sausage and meat dishes on the menu, while vegetarians can explore some of the morning options too. With its perfect location on the renowned Boulevard of Liberation, Flying Dutchman serves a fusion of classic and contemporary food. The interior has two sections: one with a modern design that fits well into the existing architecture, and a second that is kept in its original, historic state. The outside seating offers a large, beautiful patio surrounded by linden trees; a spot of calm in the midst of the city. How about fast food in a jar for a quick breakfast or brunch on-the-go? Tegla’s simple, but original idea of compressing delicious and healthy meals into jars is appreciated by locals and adored by tourists, who can often be spotted heading to the nearby Limanski Park for a picnic jar in hand. Expect plenty of pasta salads, creative mixtures of veg and even a range of mouth-watering desserts.